Getting the kids out the door on school day mornings can seem like a Herculean task. It doesn't have to be though! Setting up a routine with regular tasks that parents or caregivers and children are responsible for makes a huge difference in how smoothly the morning goes. Of course, there is always going to be a morning or two where nothing seems to go as planned, but when the morning is mapped out with tasks to be completed not only does time get used effectively, children learn skills that they will use throughout life. These 5 things your child should do before the school can be completed by your kindergarteners through your high schoolers. Every child can learn to make their own bed, even as early as 6 years old. Of course, you should expect that your older child's made bed looks a lot neater than your lower grade children. Your younger child should be expected to pull their sheet and blankets up as best they can and put their pillow at the top of the bed. They should be expected to do the best they can, not the best you can. For many people, making a bed just isn't a part of a daily routine, but we think that it's a great way to build smart habits and routines that will benefit your child, and it teaches them responsibility for their space. 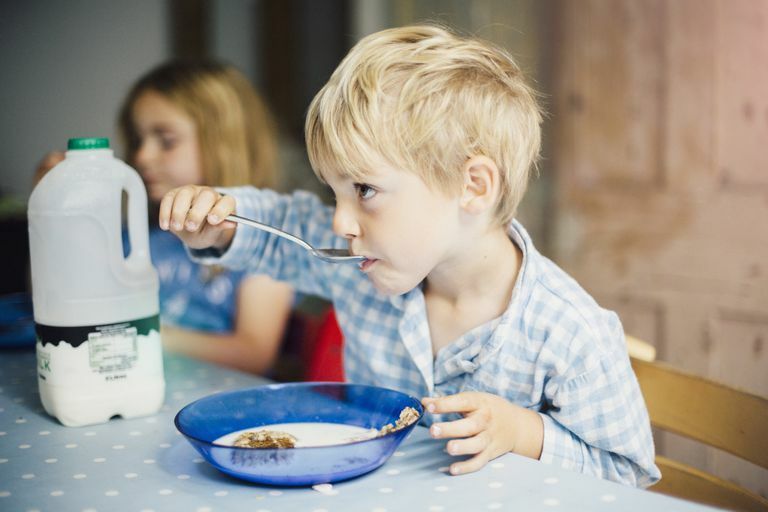 Experts agree that children should start the day with a healthy breakfast. School-aged children should be able to eat their breakfast before school in a timely manner without you having to hover, ask them for 20 minutes what they'd like to eat and how they'd like it cooked. Everyone has their own routines for breakfast, in fact, preparing a healthy breakfast for your child may be something that's important to you. Or, your child may make their own breakfast. Whatever your preparation routine is, your child should not cause delays in the morning by not eating their breakfast whether it was prepared for them by another or they prepared it for themselves. Your child should be able to get dressed and do most of their grooming in the morning without your help. Depending on your child's age and dexterity and how well groomed you like your children to look, you might have to help for a few years. Children in Kindergarten can absolutely pick out their own clothes (but that doesn't mean they'll match or be an outfit you'd pick) and they should be able to mostly get dressed independently. Brushing/doing their hair without help may come later, especially if you have a girl who likes elaborate hairstyles. Assign your child an age-appropriate job or chore that they have to complete before school. This helps keep your child busy before school, teaches responsibility, and helps get essential tasks done. Tasks can be as simple and making sure their backpack is by the door and ready to go, making their lunch, unloading the dishwasher, etc. We've found that sticking to a morning routine is essential for getting out the door on time and in good moods.